There is some debate about which Enneagram styles display narcissistic tendencies. Some put Sevens in the narcissistic category; some put Threes in that basket; some say any Enneagram type can manifest narcissistic leanings. I propose to completely unresolve this issue by presenting some theories about the origins or etiology of narcissism, quoting some theories about which Enneagram styles might express narcissistic tendencies, and in conclusion drawing some inconclusions. What Does a Narcissist Look Like? What Are Some Theories of Narcissism? Healthy narcissism is the ability to love yourself and to regard yourself positively. It is critical for the development of self-esteem. Narcissistic manifestations are displayed in varied ways across the life cycle and across cultures and need to be evaluated in context before being deemed pathological. For example, we might be properly delighted when a three-year old spontaneously stands before a group and begins to sing and dance. On the other hand a thirty-year old performing at every opportunity to get attention and admiration might be considered a bit exhibitionistic and grandiose. Individuals with excessive narcissism have difficulty maintaining a realistic concept of their own self-worth. On the one hand they have an inflated and grandiose sense of self-importance. On the other hand, they may experience a profound sense of worthlessness and propensity toward shame. Their grandiose fantasies of magnificent achievements and their posture of superiority over and contempt for others are compensatory defenses to cover their feelings of unlovableness and vulnerability. People struggling with narcissistic issues have an excessive need to attain outside support for their self-esteem. Other people function to inflate and shore up the narcissist’s esteem. This inability to provide an inner support leads to a self-centeredness and arrogance that obscures a subjective experience of emptiness, inferiority, and shame. The experience of shame is different from that of guilt, which reflects the belief that one has committed a wrongdoing. Shame is the experience of being exposed as not good enough or weak or small. With guilt the inner voice is within the self (the superego); with shame, the audience is outside the self. You are losing to the competition and everyone can see it. Narcissistic individuals have relationships with others that are often superficial and shallow, lack emotional depth, and are not mutual. They may have little capacity for empathy, can be insensitive to others’ needs, and are exploitative in their behavior. Remorse and gratitude are frequently absent from their response repertoire. They may seek out associations with individuals whom they perceive as perfect, basking in the glory of their intelligence, success, or fame. This is what Heinz Kohut meant by “idealizing” the other in relationships. Or they may search for admirers who can gratify their need for affirmation. Kohut described this as seeking “mirroring.” Relationships become organized around the person’s needs for attention, with little acknowledgment that others may have needs and interests markedly different from their own. Psychodynamically oriented theorists have offered their opinions about the etiology of narcissism. Freud, whose drive model has us pushed from within by sexual and aggressive impulses, attributed narcissistic problems to a withdrawal of libido from the outer world into the ego. The individual retreats from attachments to others to a state of self-absorption. This may be caused by trauma or by frustrations in relationships with others. He thought an infant normally evolves from a stage of autoeroticism or self-love to a love for others. Heinz Kohut, whose interpersonal model has us influenced by our caretakers, thought about pathology in terms of environmental deficits, provisions that were lacking as we were growing up. If our early relationships didn’t provide us with adequate mirroring or someone to look up to or someone to feel similar to, then we lack the validation, admiration, and modeling necessary for the development of healthy self-esteem. We then become vulnerable to feelings of worthlessness and inadequacy and turn to others for affirmation. When we receive adequate mirroring, idealizing, and twinning, then the natural grandiose omnipotence of the two-year old eventually gets toned down to the healthy self-respect and self-efficacy of the twenty-year old. Which Enneagram Styles Are Narcissistic? Relying on Theodore Millon’s description of the narcissistic personality, Claudio Naranjo (1994) refers to Enneastyle Seven as the narcissist. According to Millon (1981), narcissism conveys a calm and self-assured quality in social behavior. The narcissist’s seemingly untroubled and self-satisfied air is viewed by some as a sign of confident equanimity. For others these behaviors reflect immodesty, presumptuousness, pretentiousness, and a haughty, snobbish, cocksure, and arrogant way of relating to people. Many of these characterizations of narcissism fit the Seven Style. These descriptions certainly resonate with some characteristics of the Three. So which Enneagram style is the narcissist? The Seven? The Three? Both? Neither? Or can any Enneagram style be narcissistic? I think it depends on whether you consider narcissism from a developmental perspective or from a characterological perspective. Although, this is probably a false dichotomy since character and development interact. If you think of narcissism as developing around ages 3-4 in the late rapprochement-early object constancy stage (using Margaret Mahler’s object-relations timeline) or even earlier as Kohut suggests, then narcissism is a defensive life-style that might be deployed by any Enneagram style since we all had those same needs in our early years and anyone’s development may have been arrested at that time. So Sevens and Threes wouldn’t have any exclusive claims on this disorder. They just might manifest it in their characteristic ways. If you think of narcissism as a characterological issue, then certain genetic or temperamental dispositions might have lead to a narcissistic solution (7,3) to one’s developmental vicissitudes as opposed to a schizoid solution (5) or an aggressive solution (8) or a depressive solution (4), or a paranoid solution (6), or a histrionic solution (2) or a dependent solution (9) or an obsessive-compulsive solution (1). All of these solutions are found in the DSM-IV-TR’s section on Axis II Personality Disorders. Object-relations theorists would remind us that these disorders likely originate during particular periods of our developmental journey. I think there are enough varying theories about the etiology and portrayal of narcissism that you could probably argue for any position you’d like. 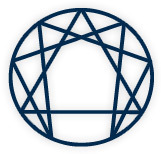 The Enneagram theory developed without the assistance of the Diagnostic and Statistical Manual and the DSM didn’t know about the Enneagram types when it was formulated. So any compatibilities and overlap between the two systems may lie as much in the mind of the correlator as in the individuals being diagnosed. My slightly skeptical stance also suspects that any research would only confirm the paradigm of the researcher. Any measures of narcissism would be based on the test constructor’s theory of narcissism just as Enneagram assessments are based on the premises of Enneagram inventory constructors. So given the somewhat subjective status of our knowledge of narcissism and the Enneagram, I would be cautious and humble about declaring who’s a narcissist and who isn’t. My own narcissism inclines me to believe, of course, that this conclusion is the correct one. American Psychiatric Association (2000). Diagnostic and Statistical Manual of Mental Disorders, Fourth Edition, Text Revision. Washington, D.C.: American Psychiatric Press. Cooper, A.M. (1986). Narcissism. In Essential Papers on Narcissism, ed. A.P. Morrison, p. 112. New York: New York University Press. Horney, Karen (1991). Neurosis and Human Growth. New York: W.W. Norton & Co.
Millon, Theodore (1981). Disorders of Personality: DSM-III Axis II. New York: John Wiley & Sons. Naranjo, Claudio (1994). Character and Neurosis. Nevada City, CA: Gateways/IDHHB.